This internship report has been prepared to fulfill the requirement for getting BBA degree. As a part of my course, it is mandatory to get involved with an organization for a certain period of time to acquire the practical knowledge. Following my completion of 11 courses of BBA program, the placement committee of Finance Department, SUB places me at EXIM Bank for doing my internship from September to December. This report is the outcome of my internship in EXIM Bank on the above stated date. Its important function is to receive deposits, lend money, discount bills, and finance foreign trade issue guarantee and transfer money. In industrial sector, the highest disbursement of EXIM Bank is in Textile and readymade Garments sector. In the organization part, I have focused on brief acquaintance of EXIM Bank, its mission, objectives, activities, functions and operations of different departments of Head office. I also tried to present the numerical data of different aspects related to the discussion. In the project part, I was required to analyze the overall Export Business, Import Business and Remittance. ¯ Depository financial institution: a financial institution that accepts deposits and channels the money into lending activities. Banking is generally a highly regulated industry, and government restrictions on financial activities by banks have varied over time and location. The current sets of global bank capital standards are called Basel II. In some countries such as Germany, banks have historically owned major stakes in industrial corporations while in other countries such as the United States banks are prohibited from owning non-financial companies. In Japan, banks are usually the nexus of a cross-share holding entity known as the keiretsu. An organization, usually a corporation, chartered by a state or federal government, which does most or all of the following: receives demand deposits and time deposits, honors instruments drawn on them, and pays interest on them; discounts notes, makes loans, and invests in securities; collects checks, drafts, and notes; certifies depositor’s checks; and issues drafts and cashier’s checks. The main objective of commercial banks is to maintain higher profitability by maintaining circular and efficient flow of amount of money deposited by the customers and the lenders. Commercial banks contribute to the economic cycle by keeping the money circulation among households, government and corporate businesses. The commercial banks lend money to the economic agents through their various products and services by earning interest income on the borrowed money. The commercial banking system dominates Bangladesh’s financial sector. Bangladesh Bank is the Central Bank of Bangladesh and the chief regulatory authority in the sector. The banking system is composed of three state-owned commercial banks, thirty one private commercial Banks, nine foreign commercial banks and five specialized development banks. Karmosangesthan Bank, Bangladesh Krishi Bank, Sonali Bank, Janata Bank, Agrani Bank ,Rupali Bank. This paper is an attempt to evaluate the Different Modes Investment of EXIM Bank Bangladesh Ltd. in terms of productivity and effectiveness. To have an overall idea about Islamic Banking System that is based on the Al-Quran and Sunnah. To know about the interest free Banking System and how it could be processed. To find out the difference between conventional banking system and shariah based banking system. Interviewing with the bank officials of EXIM Bank Ltd., Moulvibazar Branch. This report has been prepared through extensive discussion with bank employees and with the clients. Prospectus provided by the bank also helps to prepare the report. At the time of preparing the report, I had a great opportunity to have an in depth knowledge of all the banking activities practiced by the Exim Bank Limited. I had to complete this report writing within a shorter period of time. So the time constraint of the study hindering the course of vast area and time for preparing a report within the mentioned period is really difficult. The officials had some times been unable to provide information because of their huge routine work. Many officials of the branch are not well informed about different systems of Exim bank. They know but less. I had to face much difficulty to collect this information. d)Insufficient data: Some desired information could not be collected due to confidentially of business. Export Import Bank of Bangladesh Limited (EXIM Bank), a scheduled commercial bank in the private sector, started its banking operation on the 3rd of August, 1999. From 1st July, 2004 the bank converted its banking operation into Islamic Banking based on Islamic Shariah from traditional banking operation. During the same year, the bank issued 3,138,750 ordinary shares through IPO placement. The bank carries out its banking activities through twenty-eight branches operating as per Islamic Shariah in the country. Within a short period of time the bank has earned good reputation among the people of this country. This is clearly evidenced by the tremendous growth of its business and operating results. Of its very beginning EXIM Bank Bangladesh limited was known as BEXIM Bank Limited. 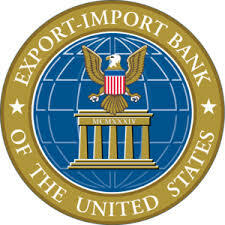 But some legal constraints the bank renamed as EXIM Bank, which means Export Import Bank of Bangladesh Limited. From 1st of July of 2004 the bank became Shariah Based Islamic Bank and from then it is rendering banking services according to Islamic banking principles. For smooth operations the Board of Directors established a Shariah Board, which decides on the banking principles according to which the bank will operate its business. To be the most caring and customer friendly and service oriented bank . The gist of the vision is ‘Together, Towards, Tomorrow’. Export Import Bank of Bangladesh Limited believes in togetherness with its customers, in its march on the road to growth and progress with services. To achieve the desired goal, there will be pursuit of excellence at all stages with a climate of continuous improvement, because, in EXIM Bank, they believe, the line of excellence is never ending. Bank’s strategic plans and networking will strengthen its competitive edge over others in rapidly changing competitive environments. Its personalized quality services to the customers with the trend of constant improvement will be cornerstone to achieve their operational success. The purpose of banking business is obvious to earn profit, but the promoters and the equity holders are aware of their commitment to their society to which they belong. A chunk of the profit is kept aside and/or spends for socio economic development through trustee and in patronization of art, culture and sports of the country. The institution wants to make a substantive contribution to the society where it operates, to the extent of its separable resources. Like other commercial banks, the bank provides all traditional banking services including the wide range of savings and credit scheme products, foreign exchange and ancillary services. However, the main focus of the bank is on export and import, trade handling and on the development of entrepreneurship and patronization of private sectors. The core business of the bank comprises of trade finance, term finance, working capital finance and corporate finance. The bank is also providing personal credit services related to local and foreign remittances and several product related services. The schemes of the bank, which are designed to help the fixed income group in raising standard of living are competitively priced and have been widely appreciated by the customers. EXIM Bank is posed to extend L/C facilities to its importers / exporters through establishment of correspondent relations and Nostro Accounts with leading banks all over the world. The bank provides credit services such as, corporate finance, industrial finance, lease finance, hire purchase finance, commercial investments, and project finance and syndicate loans. The bank introduced a number of financial products and services since its banking operation. Among them Mudaraba Savings Deposit,Mudaraba Short Term Deposit Mudaraba Term Deposit, Mudaraba Monthly Income Scheme, Mudaraba Monthly Saving Scheme, Mudaraba Super Savings Scheme, Mudaraba Hajj Scheme. Letter of Credit (L/C) facilities through establishment of correspondent relations with leading banks all over the world. The bank is currently providing Credit Card Service (Master Card) to the privileged customers of the bank in collaboration with the Standard Chartered Bank. Other services include utility bill collection for Grameen Phone from its users in all the branches and for Palli Biddut somity of Gazipur from its consumers in Gazipur branch. The government’s encouragement during the late 1970s and early 1980s of agricultural development and private industry brought changes in lending strategies. Managed by the Bangladesh Krishi Bank, a specialized agricultural banking institution, lending to farmers and fishermen dramatically expanded. The number of rural bank branches doubled between 1977 and 1985, to more than 3,330. Denationalization and private industrial growth led the Bangladesh Bank and the World Bank to focus their lending on the emerging private manufacturing sector. Scheduled bank advances to private agriculture, as a percentage of sectoral GDP, rose from 2 percent in FY 1979 to 11 percent in FY 1987, while advances to private manufacturing rose from 13 percent to 53 percent. . The rate of recovery on agricultural loans was only 27 percent in FY 1986, and the rate on industrial loans was even worse. As a result of this poor showing, major donors applied pressure to induce the government and banks to take firmer action to strengthen internal bank management and credit discipline. As a consequence, recovery rates began to improve in 1987. The National Commission on Money, Credit, and Banking recommended broad structural changes in Bangladesh’s system of financial intermediation early in 1987, many of which were built into a three-year compensatory financing facility signed by Bangladesh with the IMF in February 1987. The National Commission on Money, Credit, and Banking recommended broad structural changes in Bangladesh’s system of financial intermediation early in 1987, many of which were built into a three-year compens Foreign exchange reserves at the end of FY 1986 were US$476 million, equivalent to slightly more than 2 months worth of imports. This represented a 20-percent increase of reserves over the previous year, largely the result of higher remittances by Bangladeshi workers abroad. The country also reduced imports by about 10 percent to US$2.4 billion. Because of Bangladesh’s status as a least developed country receiving concessional loans, private creditors accounted for only about 6 percent of outstanding public debt. The external public debt was US$6.4 billion, and annual debt service payments were US$467 million at the end of FY 1986. EXIM Bank Limited established 55 branches up to this year. Those are – Local office, Motijheel Branch, Panthapath Branch, Gazipur Chowrasta Branch, Imamgonji Branch, Gulshan Branch, Nawabpur Branch, Naranyangonj Branch, Shimrail Branch, Rajuk Avance Branch, New Eskaton Branch, Uttara Branch, Mirpur Branch, Elephant Road Branch, Mawna Branch, Malibagh Branch, Ashulia Branch, Ashugonj Branch, Sat Mosjid Road Branch, Bashundhara Road , Branch, Savar Branch , Karwan Bazar Branch , Head Office Corporate Branch, Naria Branch, Agrabad Branch, Khatungonj Branch, Jublee Road Branch, Sonaimuri Branch, Laksham Branch, CDA Avenue Branch, Chowmuhana Branch, Comilla Branch, Modaffargonj Branch, Chhagalnaiya Branch, Pahartoli Branch , Sylhet Branch, Fenchugonj Branch, Moulvi Bazar Branch , Golapgonj Branch , Jessore Branch, Kushtia Branch, Khulna Branch, Rangpur Branch, Rajshahi Branch. Murabaha Import Bills (MIB): Payment made by the Bank against lodgment of shipping documents of goods imported through L/C falls under this head. It is an interim investment connected with import and is generally liquidated against paymentusually made by the party for retirement of the documents for release of imported goods from the customs authority. Dispersal/Diversification: The bank keeps its investment portfolio as much broad based as possible and in conformity with the deposit structure. The bank does not provide investments in oneParticular direction/industry/activity or one or few borrowers because any adversity faced by that particular industry will have serious adverse affect on the bank. Again, investment s are not concentrated in one area alone. The bank spreads its loans against different securities, industries/activities, borrowers, areas, etc. This way the bank diversifies its risks. Personal Interview: The bank arranges interview with the borrower to know more about his specific requirements, the prospects of his employing the funds prudently, his capacity to repay and the suitability of the security offered. The main points that are covered in the interview are: his business, all legal documents required for operation of his business (Memorandum and Article of Association, trade and import license), his capital with reference to working capital, his experience in the business, results of financial statements of at least three years, amount of investment and period, purpose of advance, source of repayment, terms of payment, security documents that are offered, types of charge available. The bank officials who conduct the interview try to analyze and judge for themselves the correctness or otherwise of the various statements and documents of the prospective borrower and to arrive at a balanced opinion regarding the acceptability or otherwise of the proposal.If, after the initial interview, the commercial credit officer decides that the loan request meets basic bank lending criteria, the next step is to conduct a more in-depth investigation, relying upon the documents obtained from the client and from bank’s own and outside sources. All PIs are assigned to an Account Manager within the RU, who is responsible for coordinating and administering the action plan/recovery of the account, and serves as the primary customer contact after the account is downgraded to substandard. a. Un-classified: The repayment of investment and advances are regular. b. Sub-standard: The repayment of investment and advances are irregular but has reasonable prospect of improvement. c. Doubtful debt: It is unlikely to be repaid but special collection efforts may result in partial recovery. d. Bad/loss: There is little chance of recovery of investments and advances. There are two ways loans are classified: 1) Objective Criteria, 2) Qualitative Criteria. Irregular for 3 months or more but less than 6 months. Irregular for 6 months or more but less than 12 months. Irregular for 12 months or above. If any installment of a term loan is not repaid within as per repayment schedule the unpaid amount will be treated as overdue installment. If the amount of overdue installment stands equal or more than the amounts which is repayable 6 months If the amount of overdue installment stands equal or more than the amounts which is repayable 12 months If the amount of overdue installment stands equal or more than the amounts which is repayable 18 months. The investment (continuous, demand, and term loan) are classified by the bank whenever it has reason to believe the borrower may not be able to repay the loan due to change is the circumstances under which the loan was originally sanctioned. The investment is classified as sub-standard on the basis of qualitative judgment, if there is a possibility to change the present situation by taking appropriate steps, although there is a possibility to become loss of the investment. When the loans are categorized as sub- standard it means the repayment of investment and advances are irregular but has reasonable prospect of improvement. But if there is no possibility of recovery of loan after taking adequate steps, then the loan is treated as doubtful. But it is not possible to recovery the loan even after taking all out efforts then the loan is treated as bad/loss. Facilities are withdrawn or repayment is demanded as appropriate. Any drawings or loans are restricted, and only approved after careful scrutiny and approval. Investment loss provisions are taken based on Forced Sale Value (FSV). Investments are only rescheduled in conjunction with the Large Loan Rescheduling guidelines of Bangladesh Bank. Any rescheduling is based on projected future cash flows and is strictly monitored. The most important indicators intended to identify problems with asset quality in the loan portfolio are the percentage of gross non-performing loans (NPLs or classified loans) to total assets and percentage of gross non-performing loans to total loans. The lower figures indicate better asset quality. Since the Bank is a newly established bank it had no classified loan in 2000 and 2001. The ratios show an upward trend indicates that the bank has far better asset quality. Status of investment is one of the criterions of judging the performance of a bank. In case of classified or unsound investment EXIM Bank’s performance has not been so quite impressive. With the increase of investment disbursement the amount of classified investment, especially substandard investment, has increased quite fast in 2009. In 2009 bad/loss loan also increased than previous year. Sources: Annual report of EXIM Bank ltd. The share of bad/loss loan, which has no possibility of recovery other than legal measures, is very high in 2005 and 2006 Table shows almost 60% of total classified loan is bad in 2005. This has risen quite sharply just over one year. It is particularly important to monitor whether the increase in loans in the economy is concentrated in sectors that are vulnerable to shifts in economic activity. Investment concentration in a specific economic sector or activity (measured as a share of total loans) makes banks vulnerable to adverse developments in that sector or activity. Hence, the quality of a financial institution’s investment portfolios is closely related to the financial health and profitability of its borrowers. Table shows that the most of the loans from 2005 to 2009are concentrated in the industrial investment (around 35.91%) followed by trade (16.53%). The bank allocates lowest amount of its loans for transport sector. (2.59%). From the above graphical presentation, it is observable that EXIM Bank underscores to the trade & industry sector. In 2009, EXIM Bank invests in trade 16.53% but in 2007 it was 54.17%. Proportion of investment in industrial sector is gradually increases from 2005. Transport & communication sector are more or less same in the year to year basis. Working capital financing sector investment was 12.02% in 2007.Investment in Housing sector was increasing which was 6.19% in 2008 than the year 2007 & 2008which was 4.89% & 4.75 % respectively. Comment: Growth of investment of EXIM Bank in different sector is in satisfactory level. Investments growth in service sector is so much satisfactory than other sector. The Bank should be concentrated on agriculture industry. It reduces its investment in this sector which is our main industry. As EXIM Bank increases its investments from year to year, so it is logical that it income from sanctioning investments are more. The bank has achieved the highest profit in 2009from any other previous year. So performance of providing investments of the bank is not dissatisfaction. From the above presentation it can conclude that EXIM Bank emphasizes its investment in Dhaka division which is larger than any division and any year. In 2009 this bank sanctions 4116.69crore taka in Dhaka division which is larger than previous any year. A bank exists mainly on the deposit resources and loan disbursement. Day by day the deposits generation is becoming harder due to immense competition in this sector, changes in people saving motive as well as government rules and regulation. The bank introduced some deposit schemes with attractive return for depositors in recent years to increase deposits. As Loans and advances are major revenue-generating assets for any bank, the performance of the bank depends very much on these assets. From the above figure it can be concluded that deposit is higher from investment in all year except in the year 2005. This year bank had to acquire loan for their investment proposal. Comment:It is observable that in 2005 loans and advances exceeded from deposit.For non Islamic bank Bangladesh bank rules is that eighty percent of total deposit. SWOT Analysis ON EXIM Bank Ltd.
Business ethics of the division is similar to the ethics ands values of mass people of our country. Lack of required information spec EXIMally on SME. Scholarship program for brilliant poor student. Education Promotion Scheme(Interest free loan). Helping people affected by natural calamities. Helping people in slum areas. Donation to educational institutions to setup computer lab. A 5 storied building having 10,000 sft floor space at 840 Kazi Para, Rokeya Sarani,Mirpur, Dhaka-1216 has been hired to set up Exim Bank Hospital. The decoration of this hospital is going on in full swing. A doctor has been recruited who is working as a resident director of the hospital. Other doctors and hospital staffs have been in the process of selection through recruitment notice already published in the national dailies. They will be appointed as soon as the decoration of the hospital is complete. This is a stipend package for poor and meritorious students that takes care of the beneficiaries throughout their student life. EXIM Bank Scholarship Programme, launched in 2006 with 61 poor and meritorious students selected from different reputed educational institutions of Dhaka City including Govt. Laboratory High School, Viqarunnissa Noon School and College, Dhaka University, BUET, Dhaka Medical College, etc. enrolled as many as 1000 students from around 150 reputed educational institutions across the country by 31 December 2008. They are enrolled in the this programme to be taken care of for their whole educational life subject to their fulfillment of the eligibility criteria that include satisfactory academic results, non-involvement in student politics, financial insolvency etc. So far Tk. 19.3 million has been disbursed as scholarship under this programme. Under Education Promotion Scheme, quard or interest-free loan is provided for poor and meritorious students to help them bear monthly educational expenditure including academic expenses, food, accommodation, etc. The quard is disbursed to the selected students in monthly installments till their accomplishing the master degree. Under this programme the students are required to repay the amount (only the principal amount) in long-term monthly installments after they have joined a confirmed job accomplishing their education properly. By 31 December 2008, Tk. 19.7 million was sanctioned to take care of around 138 poor and meritorious students from a number of reputed educational institutions like Dhaka University, Chittagong University, Dhaka Medical College, BUET, Bangladesh Agricultural University, Shahjalal University of Science and Technology etc. Besides natural calamities, fire breaks out sometimes in slum areas that guts the shanties and renders the affected people totally helpless. In that situation, we help the victims fight against the hard days and return to normal life. We have donated to Dhaka University and Chittagong University to set up two computer labs that help the students of those universities acquire ICT knowledge. This will certainly help the students to be ready to take the challenges of this information society. Islamic banking in Bangladesh has been a tremendous success over the last decade or so. The annual growth rate of Islamic banking is 30%. Islamic banking is based on cardinal two principles laid down in Shariah: 1) prohibition of interest 2) replacing it with profit sharing wherever feasible and desirable. The bank has a well-organized credit management process in place. The study found that the bank has a well-developed lending policy. The bank follows certain general principle of lending such as safety, purpose, liquidity and diversification. All the investment applications go through each of the steps of the investment granting process. The bank uses its own investment risk evaluation process in addition to LRA Manual of Bangladesh Bank and project appraisal method for evaluating investment proposals. The bank also has a proper investment administration to ensure proper documentation, monitoring and follow up of each investment granted by it. In this paper bank’s deposit mobilization and loan disbursement, the average growth rate of deposit and investment from 2005 to 2009 was 45.38% respectively. For investment sanctioning it is observable that in 2005 and 2006 bad loss of giving investment is near about 60% which is not good for the bank. Besides their investment in 2005 is greater than deposit amount. Overall their growth rate is good from the date of establishment. EXIM bank within a short period of just five years has made good progress in terms of profitability and growth rate of deposits and loans and advances despite tremendous competition in the industry. The bank has to keep updating its credit operation. Although for the time being the figures are good but the trend in the figure indicate that unless the bank becomes more prudent in its loan granting process it can become laden with heavy bad loans. The segregation of duties will improve the knowledge levels and expertise in each department. The organization structure should have to be changed to put in place the segregation of the Marketing/ Relationship Management function from Approval / Risk Management / Administration function. The responsibilities of the key persons of the above function must also be clearly specified. There should be a Recovery Unit to manage directly accounts with sustained deterioration. To encourage Recovery Unit incentive program may also introduced. The bank should give its loan products to customers by publishing brochures and advertising them under different ‘brand’ names. Ensure proper training of its staff.